Starting At $511.00 + Free Shipping! 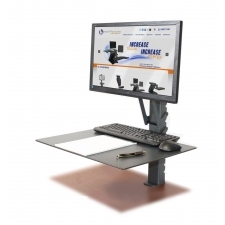 You can resolve your or an employee's posture problems with the HealthPostures Taskmate Go Adjustable Height Desktop Workstation. If you struggle with back or neck pain while working, it could be time for a change. Sitting in bad positions can have health consequences you don't want to deal with. 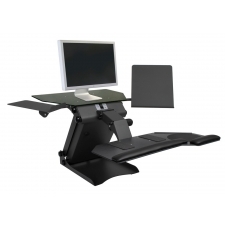 This workstation allows you to work comfortably for a prolonged period of time. It even allows you to burn more calories while working. 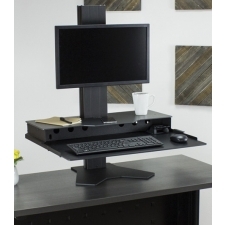 You can easily set this up for yourself or an employee and see how much more comfortable your workday is. 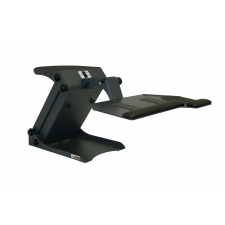 What Is The Best Sit-Stand Desk Converter?